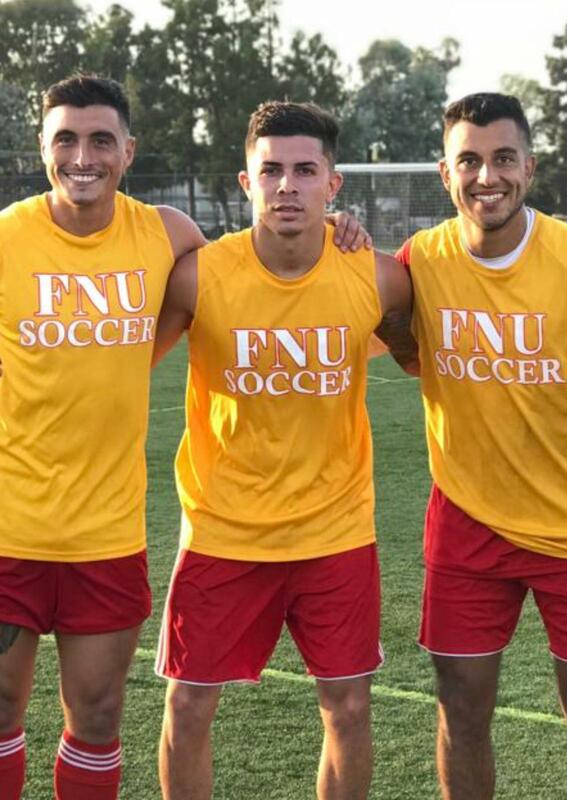 COSTA MESA, Calif. – FNU Men’s Soccer team beat the #10 team in the nation (NAIA), Vanguard University on Thursday by a score of 3-0. The Conquistadors are now 10-1-0 with one more game to be played on the road next Saturday against Hope International University at 4pm in Fullerton. The conquistadors pressured early with two straight shots, first with Pedro Veiga, and the Second one with Victor Surya but the goalie Victor Negrete knocked them both down. The game remained intense throughout the first half, with both teams combining for 12 fouls and Florida National taking 12 shots on goal only on the first Half. Vanguard played a majority of the first 45 on the defensive end, fighting off Florida National’s speed and 12 shots, while only posting one of their own. The Conquistadors pressure eventually resulted in two goals in the final five minutes of the first half, with Gabriel Barbosa scoring assisted by Pedro Veiga in the 40th minute and Pedro Veiga Scoring an unassisted goal in the minute 44th. Although Vanguard attempted to flip the momentum in their favor, Florida National extended the lead to three 15 minutes into the second half. In another combination between Gabriel Barbosa and Pedro Veiga, Gabriel scored the third goal of the match and his second goal in the game. Florida National Concluded the third Shutout of the season and the defensive effort was led by captain Matheus Carvalho and Goalkeeper Rodrigo Festuccia, Edson Segovia made his starting debut of the season. Next Game: The Conquistadors next commitment will be next Saturday against Hope International University at 4pm in Fullerton.